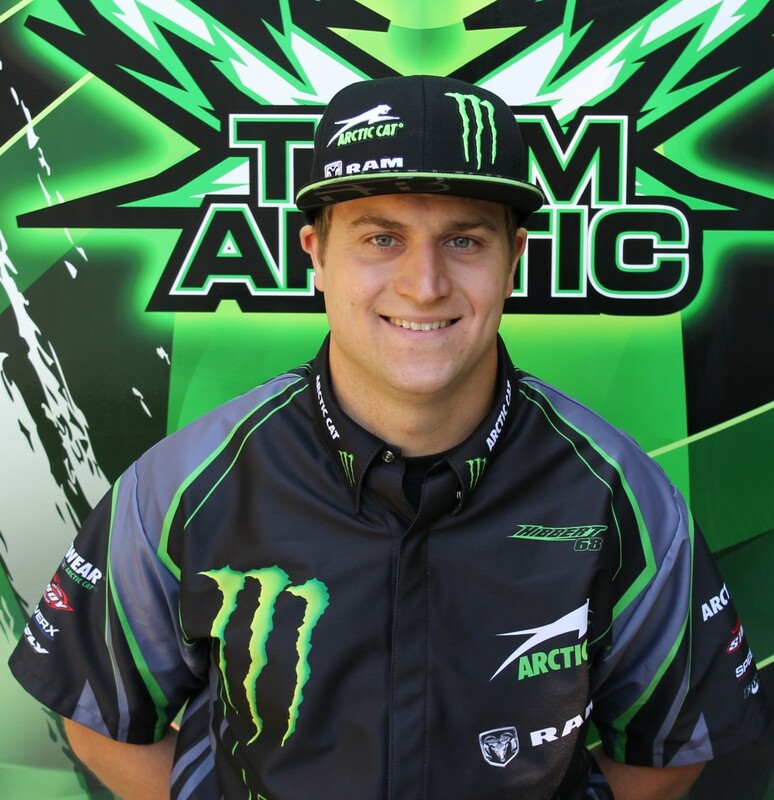 Dan Ebert has joined Team Monster Energy / Arctic Cat / Ram Truck as Tucker Hibbert’s mechanic for the upcoming snocross season. Ebert will take over Garth Kaufman’s duties and work alongside the team’s crew chief, Kirk Hibbert. Team Monster Energy / Arctic Cat / Ram Truck will kick-off the 2015-2016 snocross season Thanksgiving weekend at the ISOC Duluth National in Duluth, Minn. For more information on Tucker and the team, visit tucker-hibbert.com. If you’re going to HayDays, Tucker wants to meet you! He’ll be at the event Saturday, September 12 making appearances at his official merchandise booth, the FLY and FOX displays, will do an interview onstage with ISOC and take part in the Team Arctic autograph session. 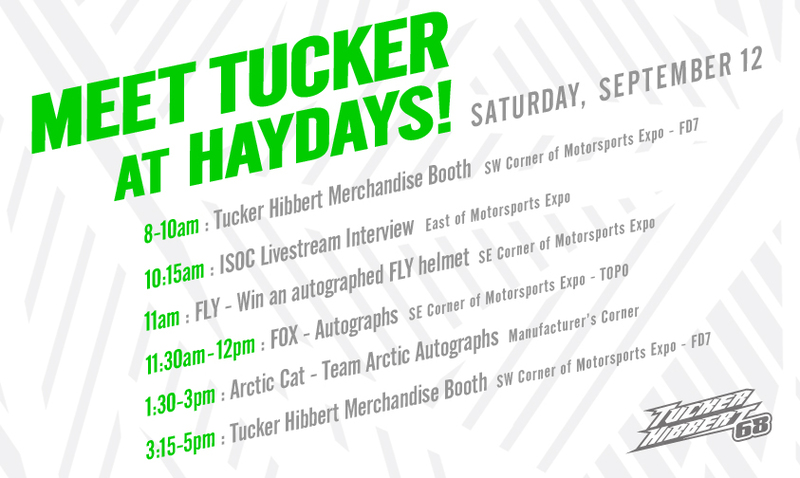 The Tucker Hibbert Official Merchandise booth will be open all day Saturday and Sunday. 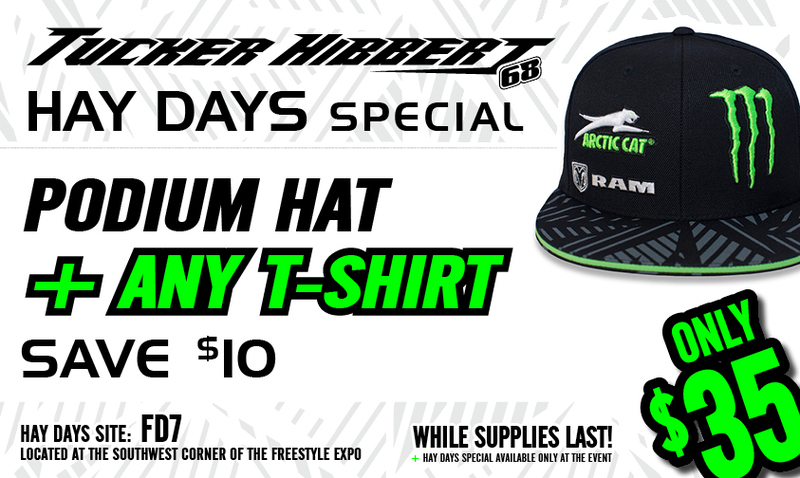 Make sure to stop by to take advantage of the HayDays special – 2015 Team Monster Energy / Arctic Cat / Ram Truck Podium hat + any t-shirt for $35!